I received some office supplies from Shoplet.com for review and honestly they couldn't have come at a better time. I recently started organizing all of my recipes (stacks and stacks of recipes) and this binder, note tabs and binder spine inserts came in handy for my recipe organization! 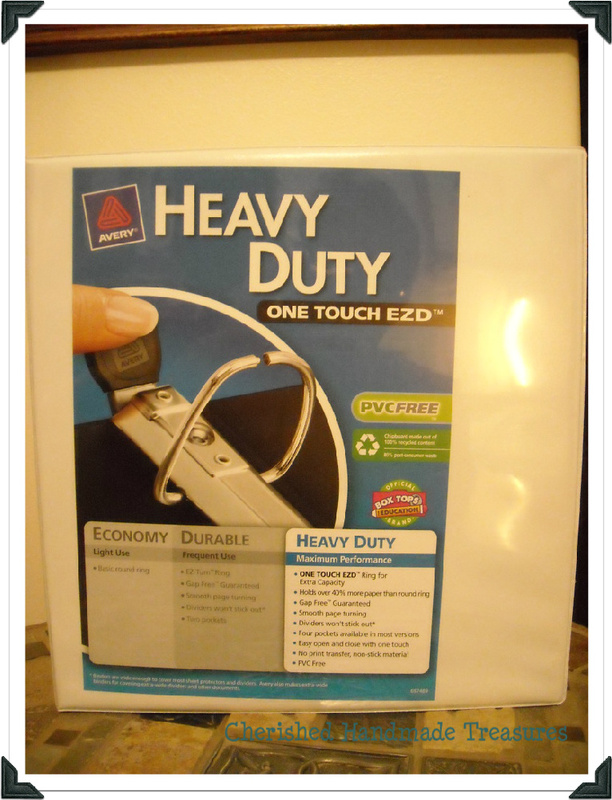 The first product I pulled from the box is the Avery EZD Heavy-Duty Reference View Binder. This binder has one handed easy open rings. With little effort, just one push of a thumb on the rubber button pops the rings right open. They also close easily without feeling as if they are going to capture my fingers when they snap shut--a big plus for me. The design of the rings really permits this binder to hold a lot of pages. I stuffed a 375 page document inside this binder (I'm sure I could have fit more if I had them). All the pages fit easily and they turned smoothly in the rings. The binder has four stacked pockets (two on each side) so you can organize and secure special notes, smaller pieces of paper or even photos. The plastic is non-stick and archival. It won’t lift the toner from your pages, so your photos are safe--Yay! The plastic is PVC free and the chipboard is 100% recycled content. I definitely like this! 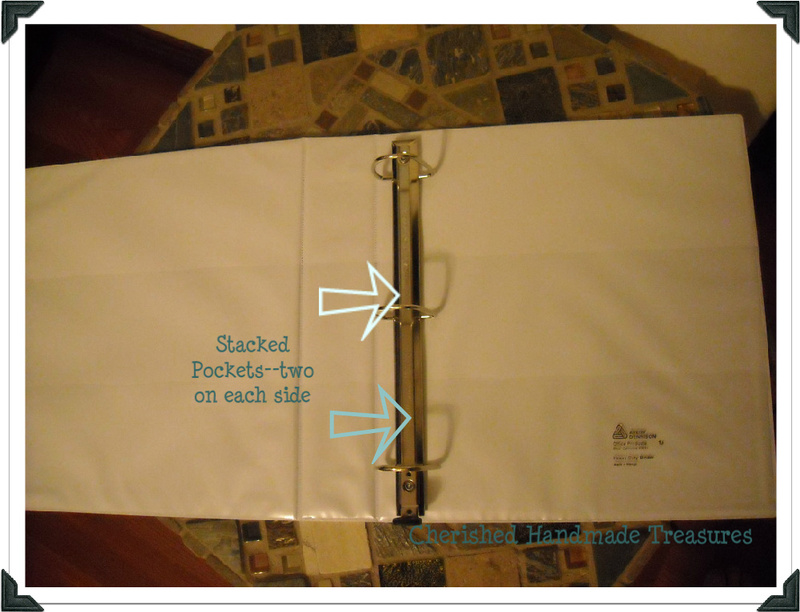 The binder front and back are wide enough to cover index tab dividers and sheet protectors from view when closed. Overall this is a good quality binder that is worth the money. There isn't anything I have found that I don't like about this binder. The rings don't pinch fingers and it has nice organizational pockets, plus it's well made. What more can you ask for? The next item was the Avery Custom Spine Inserts. 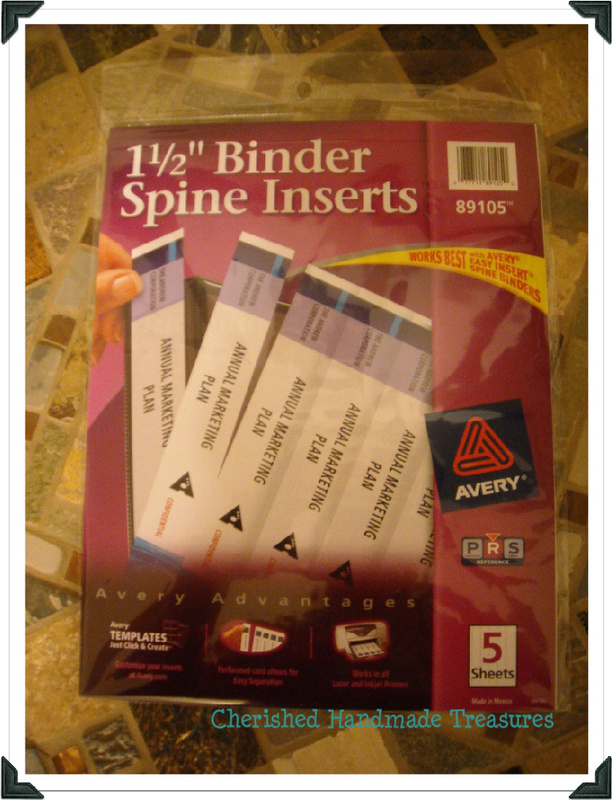 The binder spine inserts are made to work with the Avery EZD Heavy-Duty Reference View Binder. 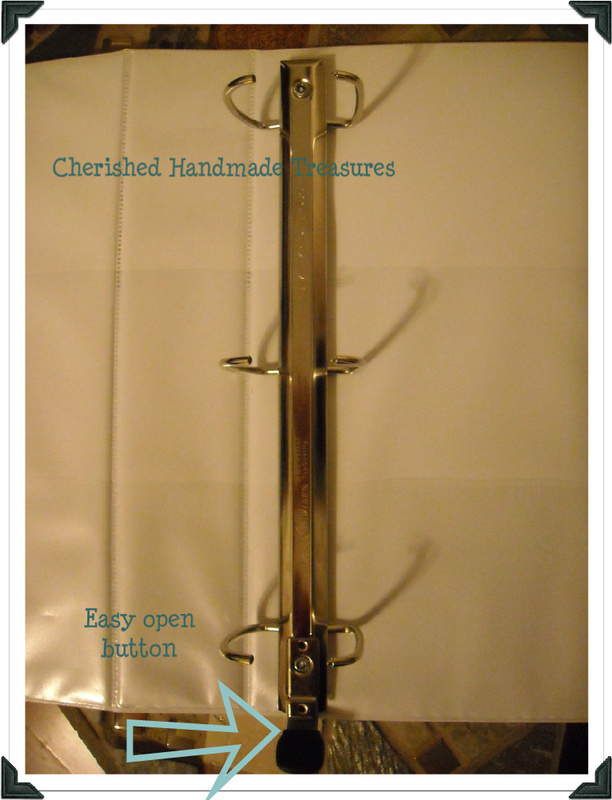 The binder spine inserts come in packages of 25 (5 per sheet). They can be customized with your printer and favorite word processing program or at Avery.com. The perforations make them easy to separate them. They are made from firm cardstock and are a perfect fit for the binder spine pocket--slipping in easily. However, if you decide to change them, they are a bit more challenging to get back out. 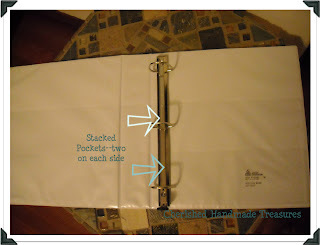 Your fingers are useless unless you want to destroy the binder spine pocket (made of plastic). Double-sided tape on the end of a letter opener solved the problem, but it was quite a bit of trouble to remove. Overall this is a good quality product. The only downside is how difficult they are to remove from the binder pocket. 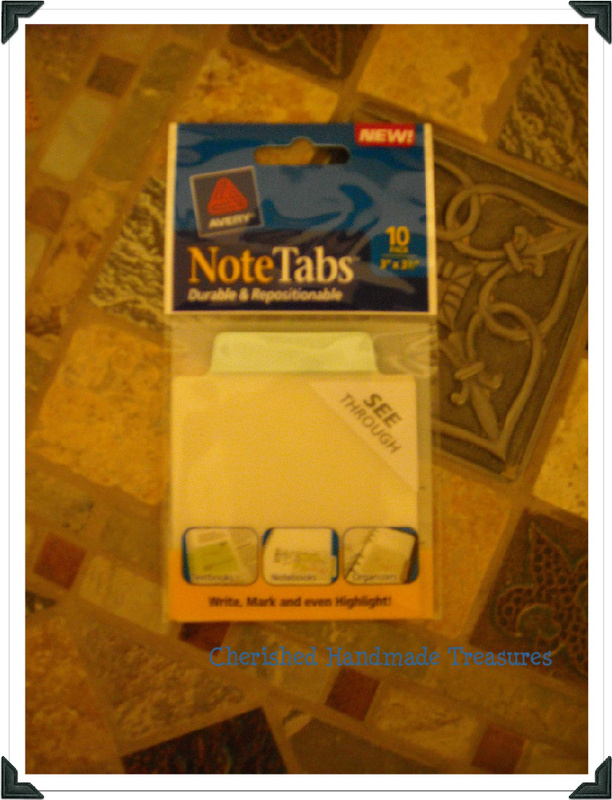 The Avery Note Tabs come in a package of 10 and a variety of colors and sizes. They are made from an thick, durable material that you can write on or use with a highlighter. The material is transparent so you can see content beneath. The tabs are also repositionable, but stick well to pages clipped together in a stack or while inside a binder--even when shuffled around they won‘t lift off. 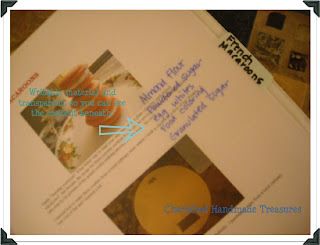 Although the glue is not sticky enough to damage your paper when the tab is lifted. 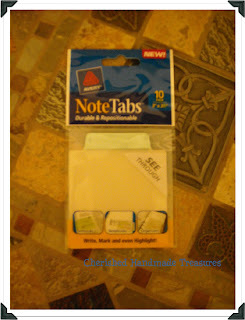 These tabs would work great to divide a wire bound notebook into multiple sections--one notebook for several subjects, school, writing project, work project, etc. 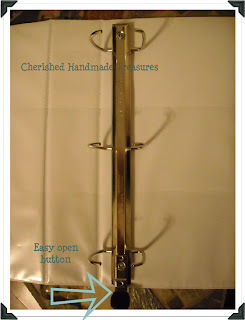 However, because of the type of material the tab is made from, some writing instruments work better than others. I found the ink from several pens tended to smear. Sharpies work the best. Overall a great product--they won't damage your paper when moved and still stick well, but the downside: not all writing instruments works on this material. I'm sure you will find each of these products as useful as I did. They can be used for so many different projects and each compliments the others so well.